You may have seen “hibiscus” being thrown around lately; it’s up and coming on the health scene. You’ll often find its characteristic vibrant red hue in tea, kombucha, water kefir, sometimes beer, and other flavoured bevvies. While you probably already know that it’s a type of flower (that’s pretty much all I knew about it), are you like me and wondering why hibiscus is so popular? Hibiscus tea is made from the Roselle flower. It’s most commonly made into a tea and, when done so, has a tart flavour similar to cranberries. While it’s fairly new to the western health scene, it’s been used in different cultures for centuries. For example, as a holiday tea with cinnamon, ginger, nutmeg and cloves in Panama; served cold or hot as “sour tea” in Iran; and as a treatment for shingles in traditional Chinese medicine. It’s clearly more than just a type of flower. Its high antioxidant content. As you can tell by its vibrant red colour, it’s loaded with antioxidants (like cranberries, blueberries or other colourful antioxidant-rich foods). Why is this important? Antioxidants help fend off free radicals (cancer-causing agents), can help prevent oxidative stress, and boost immunity, too. There’s much more to these foods than their vibrant colours. It’s a natural antidepressant. Often hibiscus is combined with St. John’s Wort, one of the more common natural antidepressants. 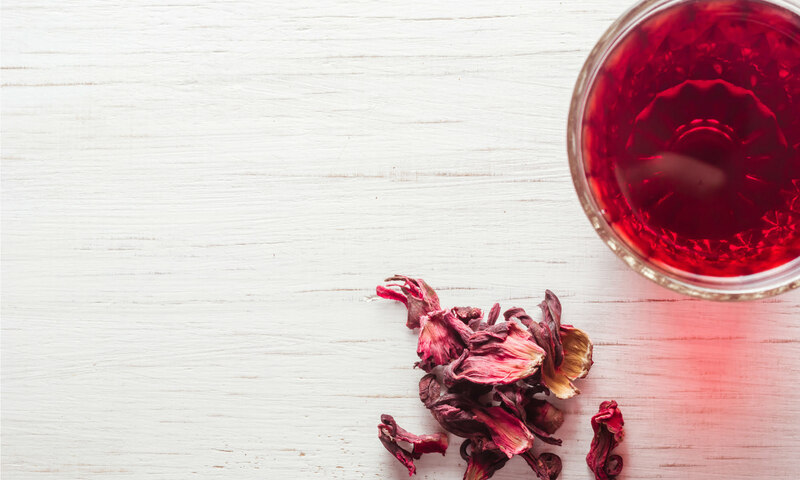 While we’re not saying hibiscus is the be all end all for depression, drinking hibiscus tea could help as a natural mood enhancer. It’s chock full of vitamin C. Struggling with a cold? Vitamin C is one of the best ways to fend that off. If you feel the sniffles coming on, try loading up on vitamin C rich foods, like hibiscus tea, grapefruit or oranges (of course). And these are just a few. It also helps with digestion, can protect the liver (in small doses) and can manage blood pressure. However, attention all future mamas: do not consume hibiscus tea when you’re pregnant. It increases your risk of complications such as a potential miscarriage, and it’s just best to avoid it altogether. All non-pregnant folk though, enjoy! Wondering how to incorporate hibiscus into your diet? Try enjoying it as a hot tea, as a cold tea lightly sweetened with honey (step aside, Nestea), or in kombucha or kefir. Perfect for any time of year! September 1, 2016 - Gala apples are on special from September 2 to September 15. Try a Blush Lane Organic Gala apple with a slice of cheese, spread of peanut butter or just on its own! What’s The Fuss About Fuzz: Why Do Peaches Even Have Fuzz? !